The Administrative Office of the U.S. Courts has announced a pilot project in conjunction with the GPO's FDSys to provide free public access to opinions from a select group of courts. The press release detailed how, "The one-year pilot project was approved by the Judicial Conference in March 2010, and the GPO received approval from the Joint Committee on Printing – often referred to as the oldest joint committee of the Congress – in February 2011." The press release lists no start date for the project. No courts are currently listed in the FDSys list of "Collections" available to search. There has been some discussion on Twitter about the press release's reference to, "Free access to opinions in all federal courts is currently available via the judiciary’s Public Access to Court Electronic Records service (PACER)." Note that this only refers to opinions and not the underlying documents listed in PACER's docket search results. 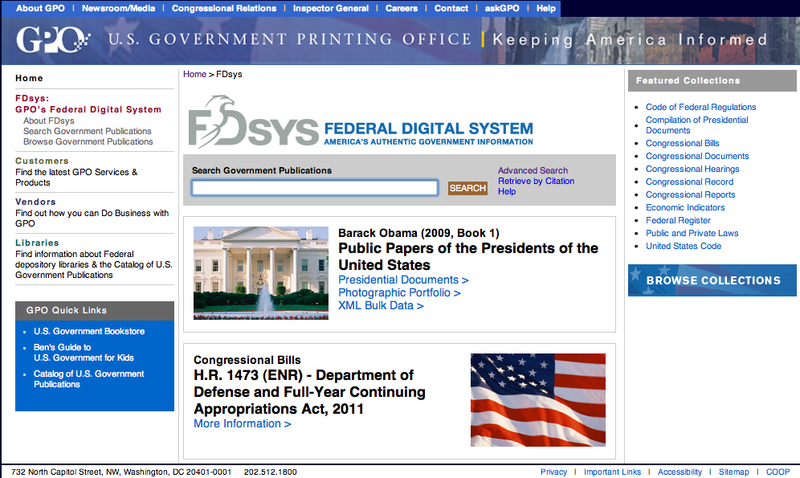 While published opinions have been available for free on PACER since 2005 (see http://linkon.in/kgTanm), one advantage of this new arrangement between the AOC and GPO is to remove the necessity of first creating a (free) PACER account in order to access these opinions. Seattle-based communications researcher Robert Richards pointed out via Twitter, "But via PACER [Case Locator], one can't retrieve decisions directly, right? One must first retrieve docket, incur charge, then decisions?...That's not free access." So another advantage to the AOC/FDSys arrangement is to make the opinions completely free and easier to access. 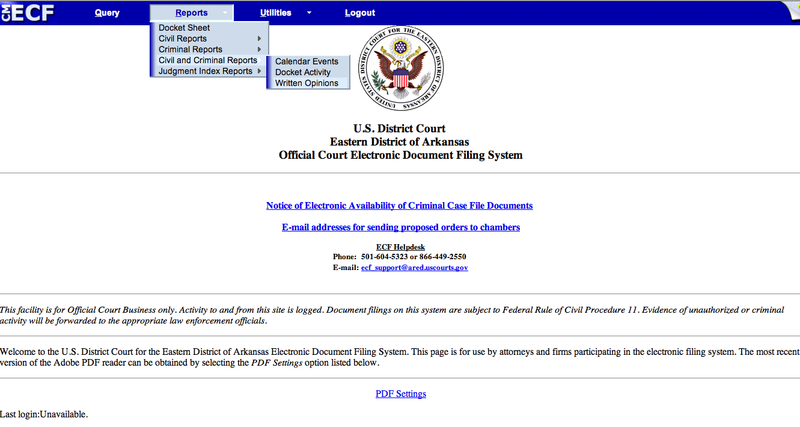 However, Nicholas Moline, a programmer at Justia noted that, "[on] the top menu inside any of the court's ECF [sites] using a PACER login...you can retrieve the opinions directly by going to Reports => Civil and Criminal Reports => Written Opinions, this rpt [sic] is free." (See illustration above.) In response (also on Twitter), Elmer Masters, Director of Internet Development for the Center for Computer-Assisted Legal Instruction. CALI, noted, "PACER's problem: not geared at public. Focus on lawyers, insiders. Hostile to pro se." While "hostility" may be in the eye of the beholder, the access that Moline described is certainly less than ideal. It is neither intuitive nor apparent and you have to know the court in which a case was decided. We are interested to see how many of the advanced search features (such as phrase, proximity, Boolean, and field operators) available in other FDSys searches will be available for the opinions once the project goes live. Detailed information on how to search PACER, GPO Access, and its successor FDSys, as well as alternative sources for opinions like Justia and RECAP, is available in our books - "The Cyberslueth's Guide to the Internet: Conducting Effective Free Investigative & Legal Research on the Internet" and "Find Info Like a Pro, Volume 2: Mining the Internet's Public Records for Investigative Research." Thanks to @Richards1000 for bringing this to our attention and @sglassmeyer, @carlmalamud, @emasters, @johnpmayer, and @nickmoline for the discussion on Twitter.